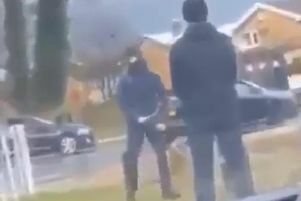 Police would like to speak to these two men in connection with the incident. A man has suffered a fractured eye socket and severe bruising after he was attacked outside a nightclub in Preston. The assault happened outside Blitz nightclub on Church Row between 3 and 5 am on December 2. The victim, a 22 year old man, was punched several times in the face by two men. Anyone with information can contact Lancashire Police on 101 quoting crime reference SA1616218.